Register for the 2019 Harford Multisport Club Indoor Triathlon today! Event is capped at 120 registrants.
. 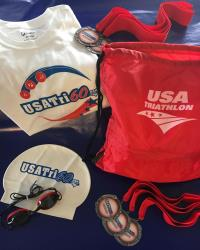 This race is a USATri60 sanctioned event. The 2019 Harford Multisport Club Indoor Triathlon is an indoor event, and the race will go on as planned unless extreme weather is present that forces us to cancel the event (example: snow storm that makes getting to the event unsafe). Unfortunately, race registration fees will not be refunded if this occurs. In the event that we are forced to cancel you will be notified via email.